aristocrat branches | Badudets Everything Nice! Aristocrat is one of the first restaurants I’ve known since childhood. I remember their branch in Grand Central in Monumento, my favorite is their Chicken Barbecue and Java rice. We would always eat there on Sundays and on special occasions. There are a lot of new tastes and restaurants that I’ve tried since then, but whenever I pass by the Aristocrat at Roxas Boulevard, I can always say that they have indeed the best Chicken Barbecue in town. I had the opportunity to rediscover the Aristocrat restaurant. This time, we visited their Subic branch. The Aristocrat in Subic is the first franchise of the restaurant, having met the stringent requirements of the Reyes family before approval. 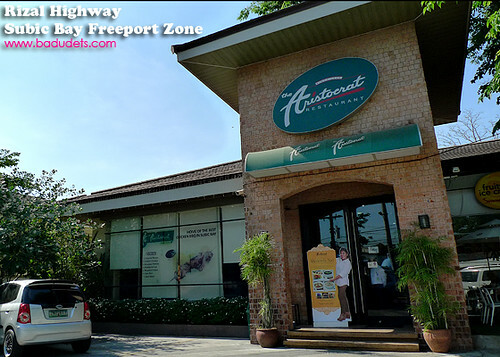 Aristocrat Restaurant has a very good location in Subic, you can’t miss it because it’s just beside Harbor Point Mall.